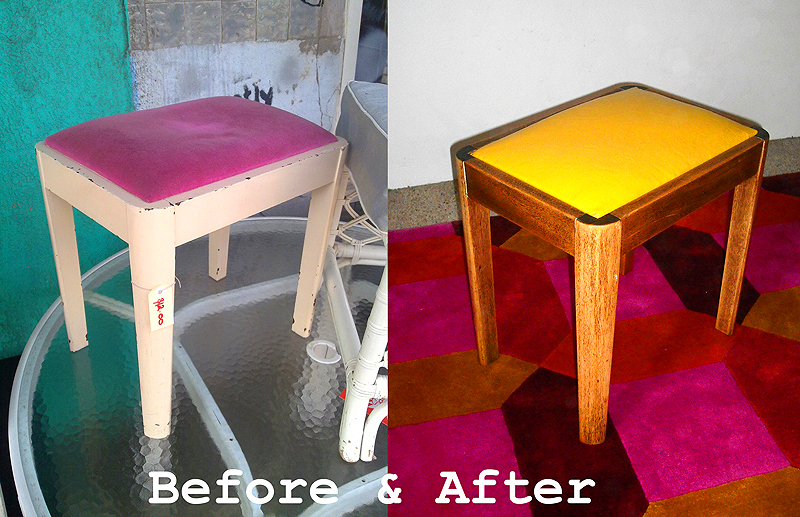 I rather loved blogger-slash-"interior design & decoration" student Crystal's makeover of this sweet little stool. Click through for part 1 and parts 2 & 3. It's rather pervy! What does pervy mean in Australia? The stool is so cute, groovy, love it. But in the US pervy mean like a pervert. thе ѕkin that stretches beyond its caρacitу.